SAN FRANCISCO, Calif., Jan. 23, 2017 (SEND2PRESS NEWSWIRE) — Rebecca House Publishing and To Love Children Educational Foundation International Inc., a 501(c)(3), announces the release of “Jeremy and the Crow Nation” (ISBN 978-0945522058) by Tatiana Strelkoff. “Jeremy” is the second book in “The Changer Trilogy.” A book for young adults, “Jeremy and the Crow Nation” offers “enduring native wisdom” that informs our youth about moral quandaries of how to respond to animal abuse and experimentation. 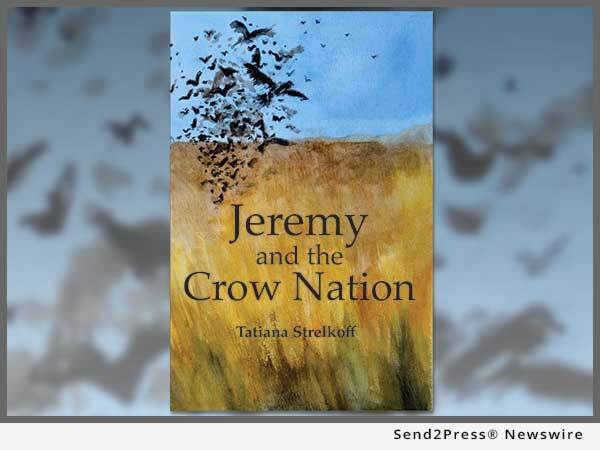 “Jeremy and The Crow Nation” has a contemporary message with both its thought provoking references to Native American insight and an introspective life message for young adults. “It is as much about finding truth and wisdom as it is about our duty to protect and care for nature and wild life. The characters are passionate, well-defined and believable, and the book has a well-crafted plot that develops at a good pace with plenty of suspense and action,” said Hilary Hawkes for Readers Favorite. “We can all be Changers in our hearts through empathy, and manifest it in our words, our art and our deeds,” says Strelkoff. The book is a compelling tale of three young teens’ quest to save animals used for test purposes. Jeremy picks up on the main character, now a boy of 16 years of age, from “The Changer” and asks how a teenager who had Jeremy’s gift to change into any animal should act in response to animal cruelty. Rebecca House is a social enterprise of To Love Children Educational Foundation International Inc. Rebecca House is a publisher of children and young adult books since 1990, and “Jeremy and the Crow Nation” is our sixth published book. To Love Children is a 501(c)(3) founded in 2002 whose mission is to create sustainable educational opportunities for vulnerable children in the developing world. To Love Children obtained Special Consultative Status to the Economic and Social Council, United Nations (2006). Profits go to Social Justice, Wildlife & Environmental, and Education Issues. All donations to TLC are tax deductible. For more information visit: http://www.tolovechildren.org/. To Love Children Educational Foundation International Inc.
Cover Design and Illustration: Palina Piakarskaya. Format: Trade paperback, ISBN 978-0-945522-05-8. Publication Date: Feb 14, 2017. "We can all be Changers in our hearts through empathy, and manifest it in our words, our art and our deeds," says author Tatiana Strelkoff.